Mandatory recycling began in New Jersey following the enactment of the 1987 New Jersey Statewide Mandatory Source Separation and Recycling Act. The College of New Jersey has been continually developing our Recycling Program in an effort to reduce bulk trash and to increase the amount of materials recycled on campus. 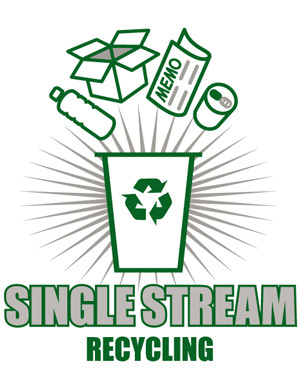 As each community recycles different materials and as additional materials can be recycled due to developments in technology and recycling initiatives, the College promotes education of the campus community in an effort to improve understanding of recycling initiatives on campus. The overall success of the Recycling Program is dependent upon the concerted actions of all the community members on our campus. Thank you for your support and continued dedication in helping The College to succeed in this critical effort. Please feel free to share your comments or questions with Amanda Radosti at extension 2881 or via e-mail at radosti@tcnj.edu.